Mr. Merrell is a cofounder and principal of our Advisor. Mr. Merrell has over twenty years of experience in capital advisory services including mortgage banking, mortgage brokerage and direct mortgage lending. His experience includes business development and extensive negotiating and underwriting of commercial and multifamily loans. Mr. Merrell in active in the community both through industry associations and civic causes. Since forming his partnership with Mr. Pierson in 2005, they have originated over $2.0 billion in commercial real estate loans in over 200 transactions. 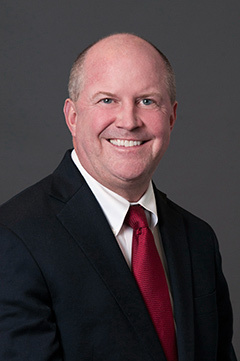 In June 2016, he joined Walker & Dunlop, Inc. as a Senior Vice President in its Capital Markets Division and his responsibilities included finding debt and equity commercial real estate opportunities for the company. Mr. Merrell holds a Bachelor of Science in Business Finance from Arizona State University. © Copyright | Legacy Equity Partners | All Rights Reserved | All photos represent actual property investments.